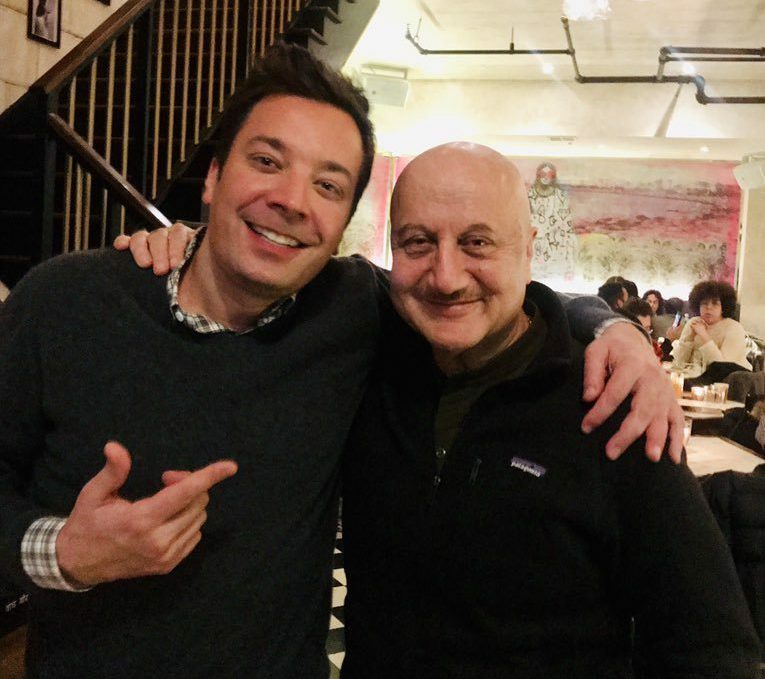 Anupam Kher, who is currently in the US shooting for medical drama “New Amsterdam” met late-night talk show host Fallon. Anupam Kher had a fanboy moment when he met Jimmy Fallon. The two are mutual admirers of each other’s work. Let us tell you that Anupam Kher has a huge fan following across the globe. Anupam Kher has appeared in some of Hollywood’s most critically acclaimed films like Bend It Like Beckham, Silver Linings Playbook, and The Big Sick to name a few. The only Indian actor, Anupam Kher received honorary citizenship of Texas as a tribute to his play Mera Who Matlab Nahi Tha, which was staged across the USA and Canada in August 2018. The American audience liked his performance and the play so much that the Mayor of Houston declared August 7 as Anupam Kher Day. The Mayor of Las Vegas did the same on September 10, 2015.